Using advances in wireless communication, smart technology gives you complete control over your appliances, heating and cooling systems, electronics, lighting, and security systems with just a simple swipe. Besides giving the luxury of convenience, smart technology maximizes both energy efficiency and performance. The best part is that you can access it all remotely—while you’re at your favorite coffee shop or halfway around the world—to turn on and operate your home systems, monitor their performance, and adjust their schedules. If you’ve decided to make your entire home “smart” at the same time, it will be easier to put it on one master “smart” system. But if you’re adding different smart technologies over time, you’ll probably end up having different monitoring systems for each one. The up-front cost of doing a smart home retrofit could be offset by the convenience of having all the devices controlled from one central location, whether on your phone, tablet or computer. On the other hand, if you’re already using various apps to manage your life, adding a few more apps to connect to the smart home technology you add incrementally won’t be a big deal. If you’re building a new home, though, you’ll want to consider all your smart tech needs at the outset so they can be integrated for ease of use and to help the tech components talk to each other to maximize energy and cost efficiency. Here are 5 ways you can tap into smart tech for your home to make it easier, safer, and more energy efficient. 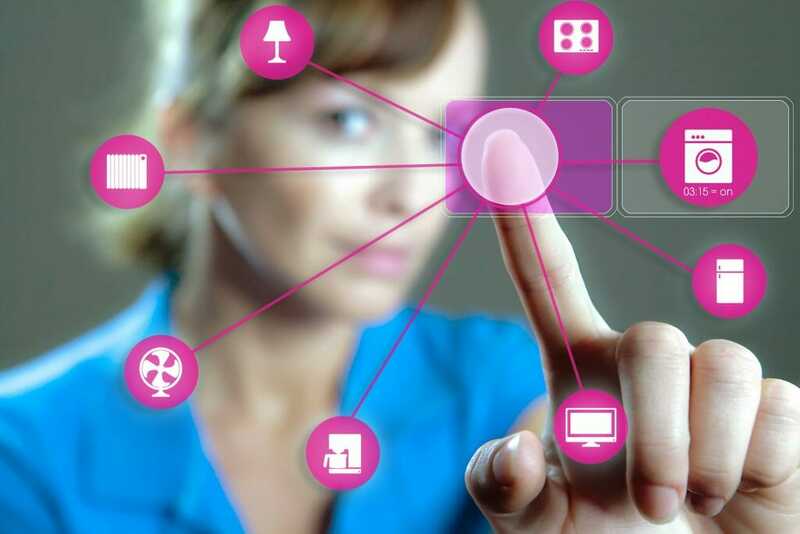 Lights triggered by sensors to automatically turn off and on were among the first smart home technologies to be adopted. These days, you can use timers built into light switches to schedule porch lights, security lights, and interior lights to turn on at pre-set times. Motion sensors can automatically turn on plug-in lamps when you enter or leave a room. You can also use a keypad remote to brighten and dim those same lamps. Another option is to automate your existing light switches, adding a “micro module” inside the fixture that enables you to control those lights without having to physically switch them on. If lights in the room are connected to a ceiling fan, you’ll probably want a remote that controls both the fan and the lights. Programmable thermostats have been the foundation of “smart” heating and cooling technology for more than two decades. In some cases, you set the thermostat to turn on or off, or raise or lower the temperature depending on when you need heating or cooling. For example, the thermostat might be set to automatically operate at 72 degrees from around 6 to 8 a.m., since this is the average time when most people are waking up and getting ready for work. During the day, the thermostat may keep the home between 66 and 68 degrees, kick up again around 5 p.m. in anticipation of you returning home from work, and, finally, drop to 68 degrees again around 10 p.m. in anticipation of bedtime. But even if this isn’t your specific time routine, your smart thermostat will still “learn” your preferred temperatures and adjust their settings accordingly. 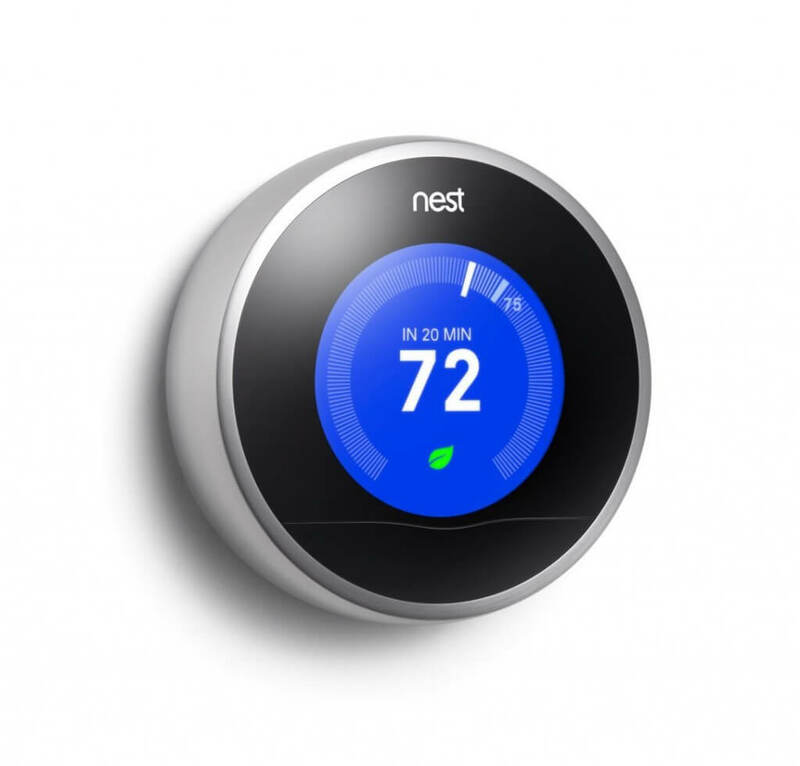 Thermostats like the Nest and Ecobee enable you to adjust temperature settings from your smartphone or computer, or with your voice via Google or an Amazon Echo. Smart home alarm systems can detect fire, carbon monoxide build-up, flooding, and even broken pipes. 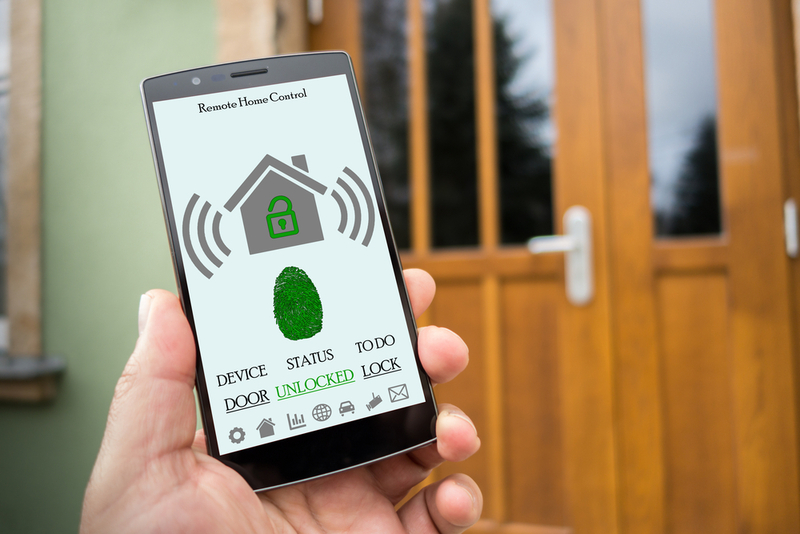 Smart security systems connect to your home Wi-Fi network so you can arm and monitor them using a smartphone or tablet, along with the right app. In addition to sensors for doors and windows, they may contain motion sensors to place strategically within your premises to prevent any forced entry. Smart home alarm systems are available either as do-it-yourself kits or as setups that come with professional installation and a monthly monitoring package. For example, SimpliSafe Home Security System is a popular DIY product that allows you to design and install the system and then choose whether to have it monitored for a fee. Otherwise, it can be armed so that alarms go off but the police are not summoned. It’s very easy to order and install a system like SimpliSafe, and it can be armed and deactivated by a key fob, which makes it very easy to use. At the other end of the spectrum are ADT, Ackerman, or Vivint Sky, which was highly rated by PC Magazine. Vivint Sky can include everything from outdoor cameras to glass break detectors or door locks to a video doorbell. It comes with complete 24/7 monitoring and direct alerts to police and fire departments. One of the best benefits of a smart sprinkler is that it reduces your water bill. But it also eliminates the hassle of worrying about when and how often to water, by tracking amount of rainfall, dryness of the ground, and even how much water different plants need in different parts of your landscape. The iWater Wizard actually uses Google Maps to create a water zones map of your yard. The BlueSpray can be set to control up to 24 zones, and it allows for different start times and programming. The Toro EVO-4OD is computer programmable through a USB port, as well as other wireless devices. It remembers preferred settings and even comes with a convenient “water now” button. To decide which one is right for you, take a look at your landscape and identify which plants need more water, and which need less. If possible, group plants with similar water needs together, then place your sprinklers and irrigations hoses accordingly. Stay abreast of weather conditions that impact rainfall. Are you being temporarily inundated, or has a drought hit your region? Your smart sprinkler will help you figure out how to respond to keep your landscape alive. Talk with local garden centers about the kind of system they recommend, and get more insights from this review of 10 smart systems, at a variety of price points, to consider. Smart home “hubs” are all the rage. 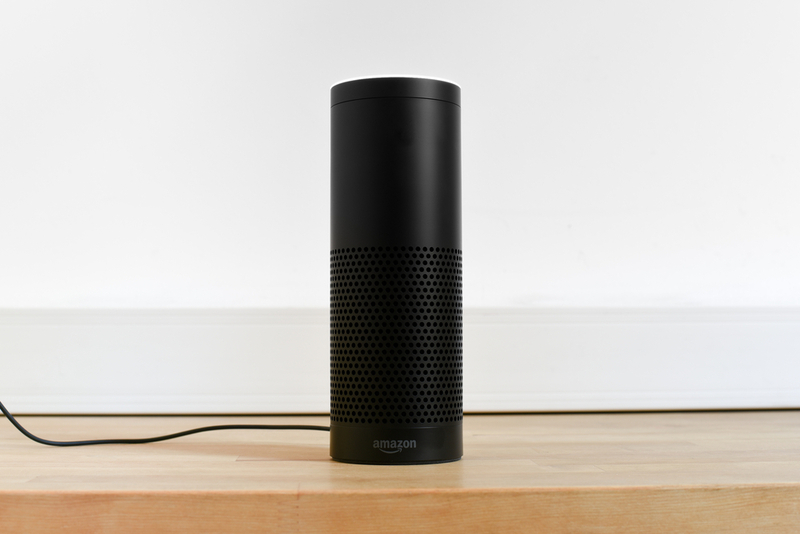 From Google Home to the Amazon Echo, these products respond to voice commands, control other smart home devices, stream music, and make it easy to do other virtual errands. Depending on your personal needs and desires—not to mention how much you want to rely on this kind of smart technology—some will work better for you than others. So what’s your relationship to smart technology? Have you tried any of these? Share your experience with us in the comments below!